Leading Northern Ireland retailers SuperValu and Centra are edging closer to a major fundraising milestone, as they announce expectations to raise £3million for Action Cancer by the end of 2019. This year alone, SuperValu and Centra retailers across Northern Ireland have raised £112,000 for Action Cancer. By the end of the Christmas period, SuperValu and Centra expect to hit an overall total of £2,900,000 raised for Action Cancer to date, bringing them within reach of their £3m fundraising goal. 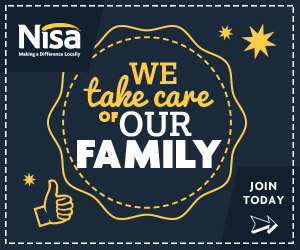 Every year, Centra and SuperValu retailers pull out all the stops to raise much-needed funds for the cancer charity. During SuperValu and Centra’s annual Fundraising Week initiative for 2018 (October 22-31), the companies pulled in an impressive £16,000 in just one week. 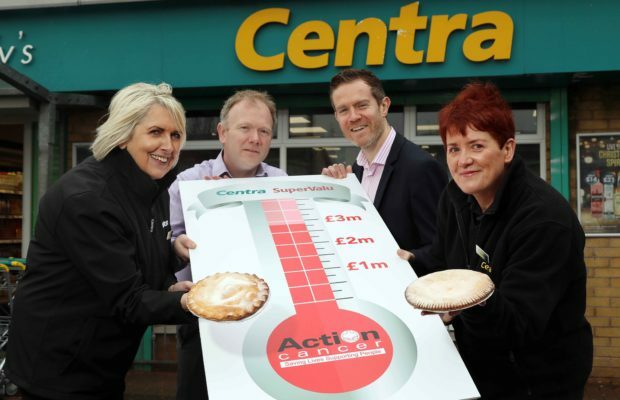 This year, on top of their usual in-store endeavours, Centra and SuperValu stores went the extra mile by selling apple pies over the Halloween period for £2, with £1 from each purchase donated to Action Cancer. Stores in the North West truly embraced the Halloween spirit, accounting for more than a third of the total apple pie sales. However, it was Kelly’s Centra store, located on the Trench Road in Derry/Londonderry, which excelled, selling over 800 apple pies in just one week. David Kelly, of Kelly’s Centra in Trench Road, Derry/Londonderry, was delighted to hear that his store had come top of the list for their efforts during Fundraising Week. He said: “Derry/Londonderry is a fantastic place to be at Halloween so it’s no surprise that our customers were so keen to get on board with our Fundraising Week efforts for Action Cancer.